Linfield and Cliftonville have won appeals against punishments dealt out by the Irish FA over sectarian chanting at the County Antrim Shield semi-final. The clubs had been fined as a result of supporters' behaviour during the match at Linfield's Windsor Park in October. The appeals were successful because the IFA's disciplinary committee had breached its own procedures. The IFA Appeals Board also ruled that the evidence against Cliftonville had not been strong enough. In Linfield's case, the Board reported that there was sufficient evidence that supporters had involved themselves in breaches of the Disciplinary Code and that 'only procedural deficiencies had resulted in the Appeals Board's findings in favour of Linfield in this case'. 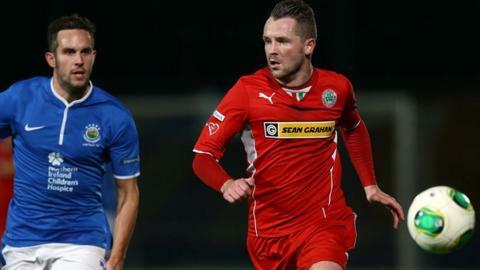 Cliftonville had been fined £3,500 and Linfield £3,250 by the association's disciplinary committee in February. During the match in question, referee Hugh Carvill asked for an announcement to be made, calling for sectarian shouting to stop. Responding to the Appeal Board's decision, which was announced through the Irish FA's website on Saturday, Cliftonville called on the association to consider the efforts clubs had made to combat issues like sectarianism. "Where clubs have taken all reasonable, preventative measures, it is surely unfair to punish them for what is essentially a societal problem," read the statement issues by the Premiership champions. In a message to supporters on its club website, Linfield said they were wholly opposed to sectarianism, bigotry and discrimination. "Any instance of any such singing, chanting or other offensive action from those professing to support our proud club will not be tolerated and we will take every action open to us to ensure offenders are punished to the full extent of the law," it read.